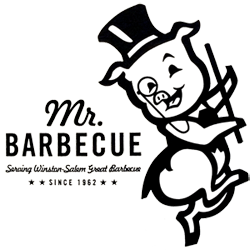 Mr. Barbecue was founded in 1962 by Tom Gallos along with the Carros Brothers, Andy and Nick right here in Winston-Salem, NC. It was good before but got even better in 1965 when Otis Pope and Leo Miller, master creators of barbecue, brought in their famous secret family recipes! Their recipes are so good that we still use them 50 years later! 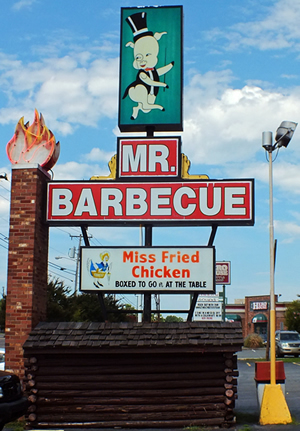 Today, Mr. Barbecue remains a family business with the son of Nick Carros, Jimmy Carros taking up the reigns! 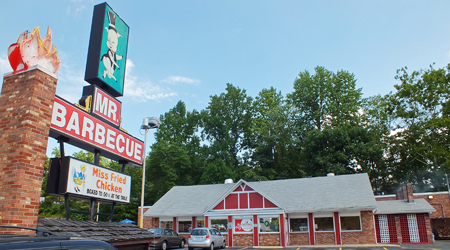 Jimmy is just as passionate about their world-class barbecue as his father and uncle were when they started Mr. Barbecue!